You can download Problem Solving and Program Design in C 8th Global Edition by Jeri R. Hanly and Elliot B. Koffman free in pdf format. Problem Solving and Program Design in C teaches introductory students to program with ANSI-C, a standardized, industrial-strength programming language known for its power and probability. The text uses widely accepted software engineering methods to teach students to design cohesive, adaptable, and reusable program solution modules with ANSI-C. Through case studies and real world examples, students are able to envision a professional career in programming. Widely perceived as an extremely difficult language due to its association with complex machinery, the Eighth Edition approaches C as conducive to introductory courses in program development. C language topics are organized based on the needs of beginner programmers rather than structure, making for an even easier introduction to the subject. 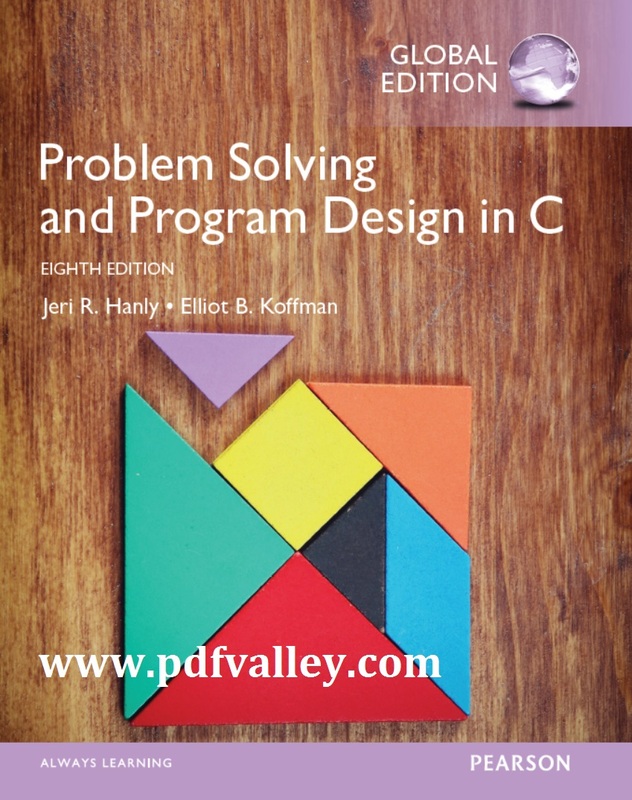 Covering various aspects of software engineering, including a heavy focus on pointer concepts, the text engages students to use their problem solving skills throughout.